Despite sleep deprivation and very spotty wifi at both DrupalCon and my hotel, here is issue 87 of TheWeeklyDrop. This DrupalCon has been a lot of fun and if you missed it you really did miss a great one. June 2nd - 6th 2014. Not a surprise. Stories of code and adventure from people in the Drupal community. Drupal tales looks like a really cool project. They are looking for contributors so go check it out and share your story. More good news for Acquia. Just How Awesome is Your Drupal Site? Get a free scan and know for sure. 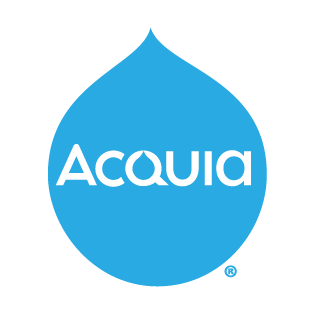 Acquia Insight scans your Drupal site and compares it against a battery to tests to check for performance, security, SEO, and site building best practices. Just enter your URL, and let us take care of the rest. Plus, score an A+ on your site, and we'll send you a cool shirt! The purpose of the project is to capture the exuberance and authenticity of the Drupal community and invite others to join in. You can watch the sessions from DrupalCon on the Drupal Association’s YouTube page. Jonathan Snook is a highly respected leader in the Frontend dev world specifically in the area of CSS. It’s really great to see experts from outside the Drupal community speaking at DrupalCons. Thomas Svenson discusses Drupal 8 and WYSIWYG. A nice and short (3:23) video summary of DrupalCon Portland day two. I just happen to be in this video. This post on Amazee Labs is worth a look just for the great photos. Steve Parks wrote a nice summary of the DriesNote for Wunderkraut. Ivan Boothe has a written a interview with Jen Lampton. I linked to this last week but there are a ton of interesting stories to check out this week. Be sure and check it out. Matt over at Engineered Web might be causing a ruckus with this post but it’s worth a read. Garret Voorhees of Chapter Three tells us about their latest project with Zact. Nica Lorber of Chapter Three shares how they helped UCSF create a web start kit for rolling out sites across their organization. Seriously. Vagrant is one of my favorite web dev tools and you really need to check it out if you haven’t already. This is the first that I have heard of Salt Stack(similar to Puppet) but it’s nice to see more Drupal specific articles from Linux Journal. If you don’t have Dreditor installed and you contribute or review patches you are crazy. Get started here. Over at LevelTen Interactive Kyle Taylor has shared a solution to a vexing pain point for many Drupal themers. Another tutorial from Web Wash. I don’t know how Ivan Zugec turns these out so regularly. How do I “see” my contributed code on Drupal.org? This title explains this post by Bryan Braun better than I could. New to Views? Check out this tutorial from Friendly Machine.